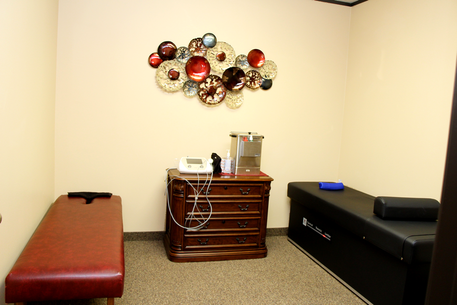 Shine Chiropractic offers conservative and non-surgical care. This care is delivered by Dr. Dori Bonitatibus, DC. Our doctor is well trained and highly skilled in delivering high quality care. Our Chiropractic Clinic is conveniently located in Lewisville, TX on W. Main Street on the west side of I-35. We are a proud member of the Lewisville Chamber of Commerce. Call us for a completely free Chiropractic Consultation. It is time to call- don’t put off today living your life at your fullest potential! You can rest assured that you will receive the best possible care at Shine Chiropractic. Our doctor really listens to your concerns and designs a treatment plan that is tailored to address your specific problem. ​We focus on the vitalistic philosophy of chiropractic. The body has the ability to heal itself. Our gentle treatments relieve pain and restore the body to wellness. Many have come to think of a doctor as someone who prescribes advice and drugs, or performs surgery. Sporting a white lab coat or surgical scrubs with a stethoscope at the neck, doctors are seen as all-knowing, omnipotent and able to save patients in 60 minutes, less commercials. ​But that’s where the similarity ends because each discipline looks at health and healing in very different ways.